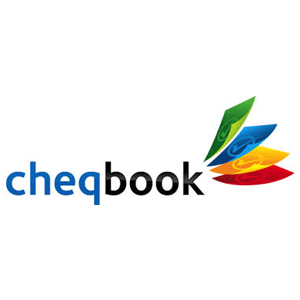 Cheqbook is an online accounting and bookkeeping software for both beginners and professionals. It enables users to manage their financial transactions, accept payments, send invoices, and more. In this article, we cover Cheqbook reviews and pricing. Ready to get started? Get a free trial. As of the date this article was written (March 7, 2019), there are no up-to-date Cheqbook reviews online. If you are a past or current Cheqbook customer, leave a review to help others who are deciding whether or not to use the software. The Cheqbook pricing scheme has three options: Proprietor ($19.75/month), Entrepreneur ($39.75/month), and Pro ($74.75/month), depending on the number of companies the software will be used for. Each plan can cater to 1, 5, or 10 companies, respectively. Cheqbook also offers larger plans for users who need more businesses in their accounts. Users may email its support team to inquire about the plans that will suit their needs. Additionally, Cheqbook offers 50% discounts from time to time. Interested users may visit its website to check if they have one on offer today. Ready to get started with Cheqbook? Get a free trial. 10 Best Accounting Software for Small Businesses 2019: The best accounting software for small businesses should be affordable, easy to use, and allow you to easily track income and expenses. It should also include detailed financial statements to give you insight into the health of your business. In this guide, we looked at over two dozen products and narrowed it down to our top 10. Can users downgrade or upgrade their subscription plans at any time? Yes, they can. The difference between their previous and new plan will be pro-rated. Are users required to input their credit card details to be eligible for the free trial? No, they are not. Users are required to input their credit card details only if they choose to subscribe to a paid plan. In the event that they purchase a subscription during the trial period, all remaining time left will be credited to the user’s balance. Have you read these Cheqbook reviews and are still not sure if it’s the right fit for you? Read our reviews of all top accounting software providers or check out one of these three Cheqbook competitors.